Short Bytes: Nokia has achieved 1 terabit/sec data transmission speeds in Germany. Its subsidiary, Nokia Bell Labs worked in collaboration with Deutsche Telekom and the Technical University of Munich and developed PCS (Probabilistic Constellation Shaping) to enhance network speeds. Nokia may have departed from the mobile market but many of us are unaware of the true potential of the Finnish corporation. Nokia’s acquisition of Alcatel-Lucent last year also welcomed Bell Labs (now Nokia Bell Labs) to become a part of the Nokia family. Bell Labs was founded in 1925 by Alexander Graham Bell who invented the first working telephone. Nokia Bell Labs, along with the Techincal University of Munich and Deutsche Telkom T-Labs, has been working on a network speed enhancement method. Known as Probabilistic Constellation Shaping (PCS), the technique, which won the Bell Labs Prize, can enable data transmission over a fiber connection at 1 terabit per second. 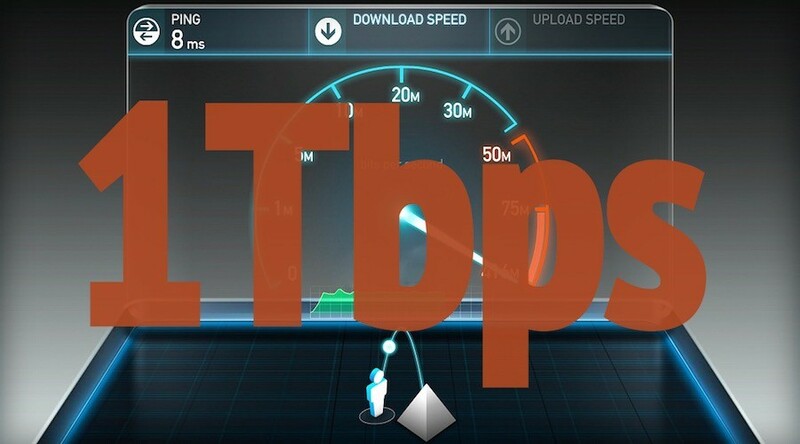 As of now, Google’s 1Gbps fiber network offers the best speeds to the home users but the new technology, if launched, will definitely raise the bar. The research is a part of the SASER (Safe and Secure European Routing) project. During the experiments done over the Deutsche Telekom’s fiber network, a terabit/sec speed was observed which was almost close to the Shannon Limit – coined by Claude Shannon in 1945 – of the channel. How did they get the terabit speed? “The trial of the novel modulation approach, known as Probabilistic Constellation Shaping (PCS), uses quadrature amplitude modulation (QAM) formats to achieve higher transmission capacity over a given channel to significantly improve the spectral efficiency of optical communications,” reads a TUM blog post. Claims have been made about practically attaining the terabit speeds. ZDNet heard from a Nokia Networks spokesperson that a round trip speed of 1Tbps has been recorded between Stuttgart and Darmstadt cities in Germany. The technology is yet to be released to the market. A fruitful application lies in boosting the core network infrastructure for FTTH connections to support the rising data needs due to increasing adoption of streaming and cloud services. The spokesperson said that the technology can be implemented in wireless networks at the current point in time. On September 19, the collaborative research will be presented at the ECOC 2016 in Düsseldorf, Germany.